Heehee. Some projects make me feel like a child again (or, in this case, like a character in a Brontë novel)! 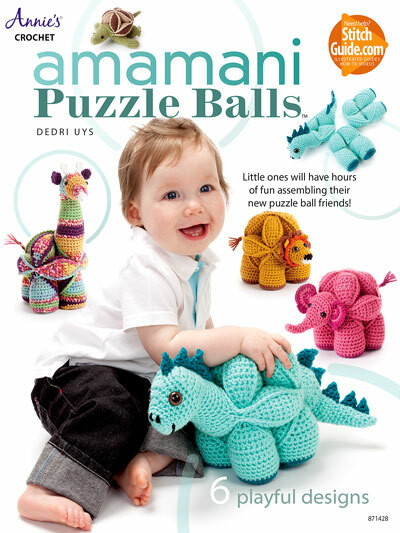 I cannot tell you how excited Jenny and I are about bringing you this pattern. Charlotte’s Dream has been just that: A dream! 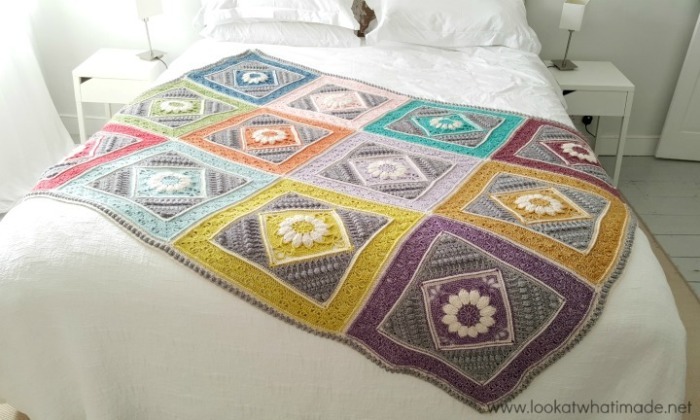 This blanket was made by my dear friend Jenny and consists of 12 Charlotte squares in 12 different colours. It is bordered with a simple popcorn edge. From the very first square, this blanket sparked my imagination. I keep imagining myself sitting on it under a huge tree, reading a really good book while the dappled sunlight dances over the pages. Jenny and I have spent many happy hours choosing colours, chatting about a name, and oohing and aahing over the individual squares. I hope this project brings you as much joy as it has brought us. The Charlotte Square was specifically designed for 67 Blankets for Mandela Day. 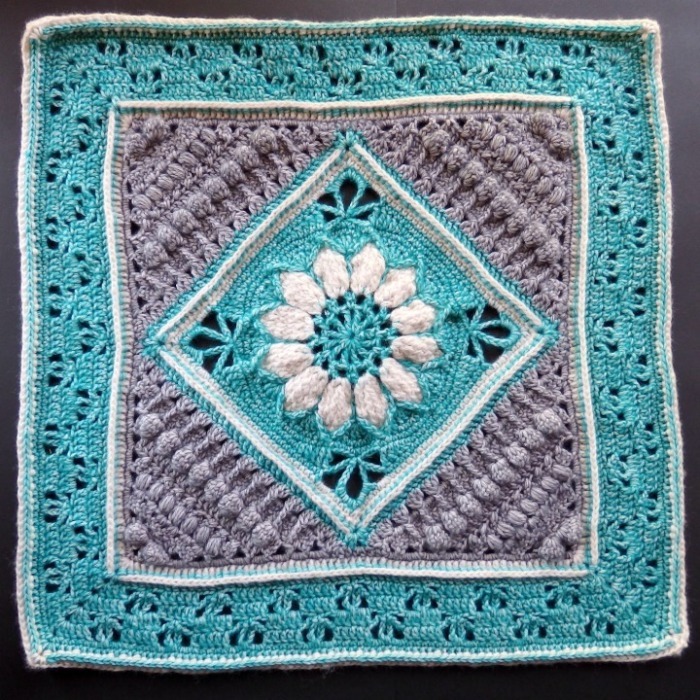 I would like to thank my friend John Kelly for allowing me to use a smaller version of the flower he designed for his Mandala in Bloom pattern. * The square was originally designed using the colour references Colour A, Colour B, and Colour C. When following the photo tutorials for the individual squares, you will replace Colour A with CC, Colour B with MC1, and Colour C with MC2 as listed above. Yarn packs for this project are available from Wool Warehouse (offers international shipping and includes printed version of the pattern) and Deramores. 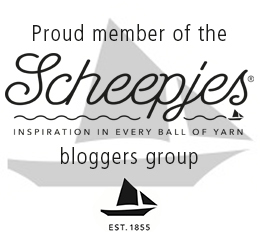 You can also buy Stonewashed from Scheepjes (NL). The rest of the Abbreviations and Special Stitches will be found in the individual parts for the Squares (see Charlotte Squares below). At the end of Round 18, your square should measure 20 cm (8”). Each finished square should measure 42 cm (16.5”). The central flower of this square is textured and raised slightly above the surface. 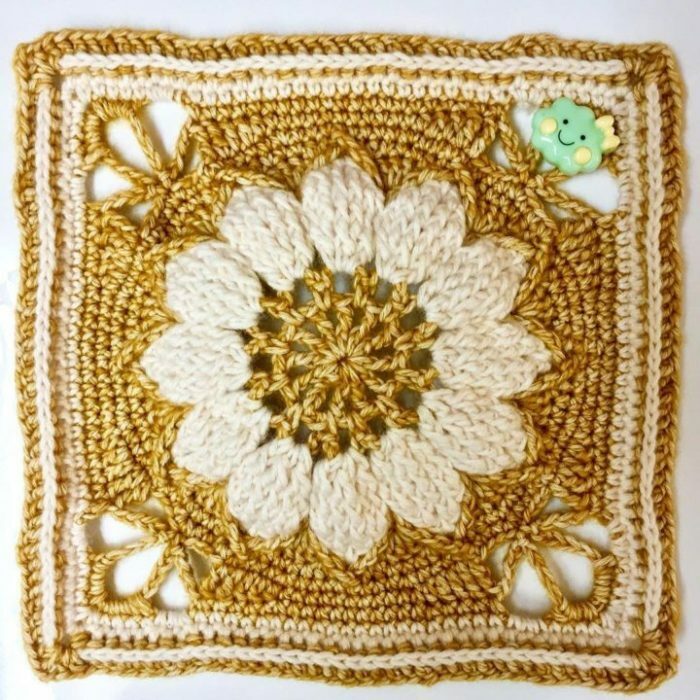 When you have only made the flower, it will look like it bulges too much (because of all those front post stitches) but, as the square progresses, this will become less noticeable. With use, the flower will relax down even further, but it will always remain slightly raised above the surface of the square. If you find that your flower bulges a lot and the rest of your square refuses to become ‘square’ by Round 18, you are making your chains too tight, and you will need to either relax your tension when making your chains or use a bigger hook for chains only. Video tutorials for the squares (only) can be found HERE on It’s All in a Nutshell. You will need to make 12 squares, using a different Contrasting Colour (CC) for each square. Below you will find the links to the 3-part Charlotte Square (published at the start of the year), as well as the two additional rounds that will need to be added to each square before joining. 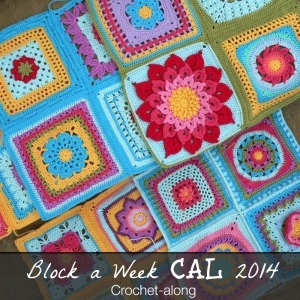 Remember to reference the colours and hook size (above) when making your squares. 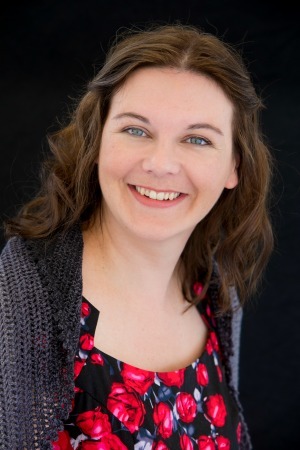 Rounds 29 – 36: Charlotte Square Part 3 – don’t fasten off at the end of Round 36! Sl st into the next ch-2 corner space. Ch 2 (counts as hdc). (Hdc, ch 2, 2 hdc) into the same ch-2 corner space. This is your first corner made. *Skip the first (hidden) stitch. Hdc in each of the remaining 85 st’s across. (2 hdc, ch 2, 2 hdc) in the next ch-2 corner space. * Repeat from * to * 3 more times, omitting the last corner on the last repeat. Join to the top of the beginning ch-2 with a sl st. Fasten off and work away your ends. 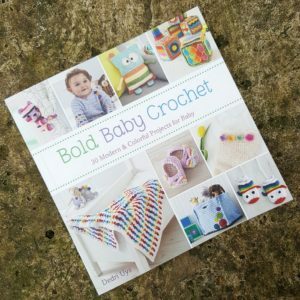 Join your yarn by making a standing single crochet in any ch-2 corner space. (Ch 2, sc) in the same ch-2 space. This is your first corner made. *BPhdc around each st. (Sc, ch 2, sc) in the next ch-2 corner space. * Repeat from * to * 3 more times, omitting the last corner on the last repeat. Join to the first sc with a sl st. Fasten off and work away your ends. When you have made all 12 squares, you will need to join them to each other. I am going to show you how we chose to do our layout, but you are free to move the colours around. 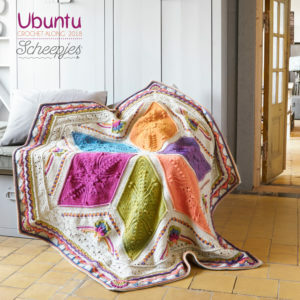 If you do decide to move the colours, try not to put too many light or dark colours next to each other as this will make the blanket appear a bit lopsided. The squares are joined using a (Sc, ch 1, skip 1) join. It yields a flat seam on the front of your work that will look like little stitches. On the back of your work, the seam will be raised (but not as much as if you had made a sc in each stitch). This seam is reasonably elastic, provided that you don’t make your chains too tight. The squares are joined in a grid. You will be making all the horizontal joins first, followed by the vertical joins. 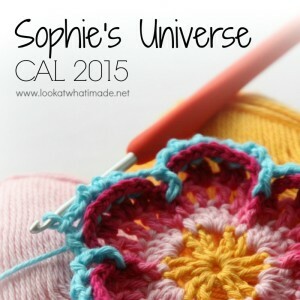 Unless otherwise specified, you should be inserting your hook into both loops of both layers for each indicated stitch. To make it easier for you to understand, I have numbered the squares from 1 to 12, starting in the top left-hand corner and ending in the bottom right-hand corner. Place Square 9 on top of Square 12 with right sides together. 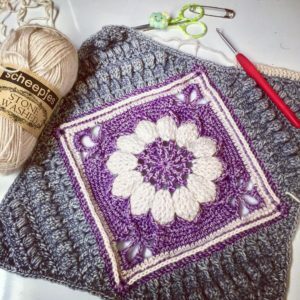 With a slip knot (MC1) already on your hook, start joining the two squares by making a standing single crochet in the ch-2 corner space. (Ch 1, skip the next st, and sc in the next st) until you have one stitch left before the next corner space. Ch 1, skip the last st, and sc in the ch-2 corner space. Ch 1 before joining the next 2 squares. Without fastening off, place Square 7 on top of Square 10 with right sides together and repeat from * to *. Fasten off and work away your ends. You have now completed your first horizontal strip. Repeat the whole process, laying Square 6 on Square 9, Square 5 on Square 8, and Square 4 on Square 7. Then repeat it again with the last 3 squares. Now turn your blanket 90 degrees so that you can start joining the squares vertically. Fold the row containing squares 3, 6, 9, and 12 onto the row containing squares 2, 5, 8, and 11. Just like when you were joining the squares horizontally, repeat the instructions between asterisks (*) above for each square, remembering to chain 1 between squares. 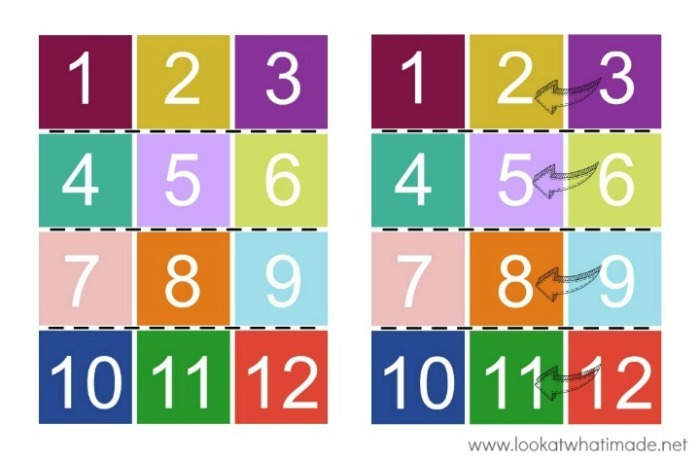 Fasten off when you have joined all four squares and then repeat the process to join squares 2, 5, 8, and 11 to squares 1, 4, 7, and 10. When you have joined all your squares to each other, you are ready to add your border. The Popcorns in this border are created over 2 rounds. In Round 2, you will make a series of 5-dc groups. In Round 3, you will turn these 5-dc groups into Popcorns by using front post stitches. 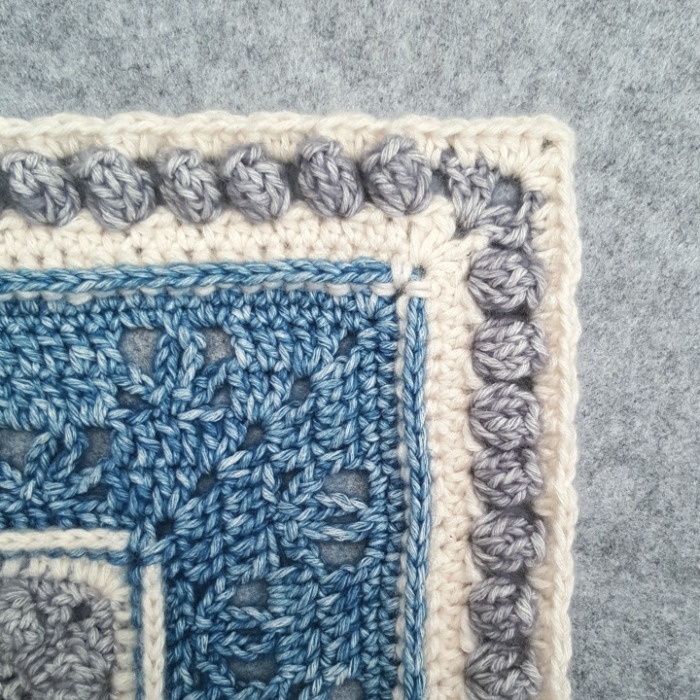 When adding the first round of the border, the ch-2 corners of each square (along the edges of the blanket) will count as a stitch and should be worked into. Only the four ch-2 spaces in the corners of the blanket will be referred to as a ch-2 space. Join your yarn by making a standing double crochet in the ch-2 corner space at the start of any long side. (Dc, ch 2, 2 dc) in the same ch-2 space. This is your first corner made. *Hdc in each st, remembering that the ch-2 spaces along the edge count as stitches and should be worked into. (2 dc, ch 2, 2 dc) in the next ch-2 corner space. * Repeat from * to * 3 more times, omitting the last corner on the last repeat. Join to the first dc with a sl st. Fasten off and work away your ends. *(Ch 2, skip the next 2 st’s, and make 5 dc’s in the next st) until you have 2 st’s left. Ch 2 and skip the last 2 st’s. (2 dc, ch 2, 2 dc) in the next ch-2 corner space. * Repeat from * to * 3 more times, omitting the last corner on the last repeat. Join to the first dc with a sl st. Fasten off and work away your ends. To make a FPhdc around a 5-dc group, yarn over and insert your hook from front to back into the ch-2 space before the 5-dc group. Insert your hook from back to front into the next ch-2 space so that the 5 dc’s lie on top of your hook. Complete your hdc as normal, making sure that your working yarn is above the 5 dc’s, not in front of them. This will pull the 5 dc’s together and form a neat Popcorn. If you want more help, have a look at my tutorial for the Really Lazy Popcorn. 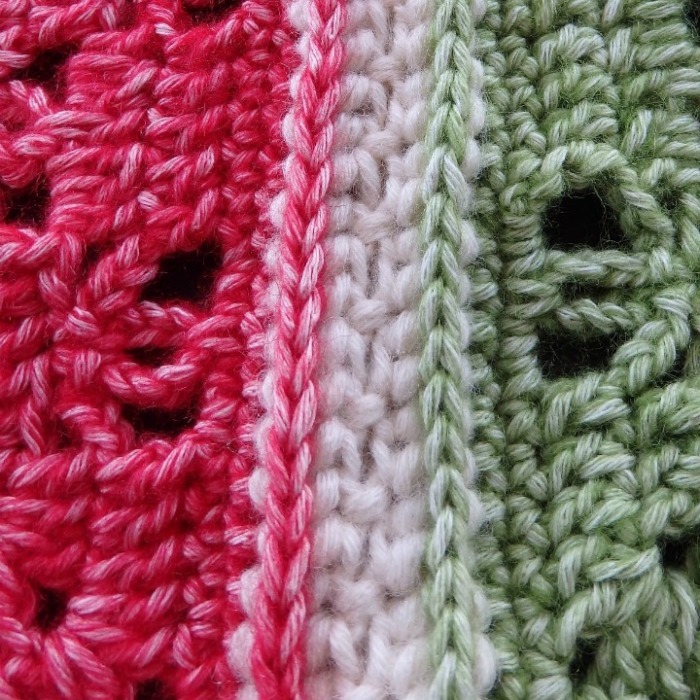 Join your yarn by making a standing half-double crochet in the ch-2 corner space at the start of any long side. (Hdc, ch 2, 2 hdc) in the same ch-2 space. This is your first corner made. *Hdc in the first 2 st’s and make 2 hdc’s in the first ch-2 space. (Make a FPhdc around the next 5-dc group, make 2 hdc’s in the next ch-2 space) until you have worked into every ch-2 space. Hdc in the last 2 st’s. (2 hdc, ch 2, 2 hdc) in the corner ch-2 space. * Repeat from * to * 3 more times, omitting the last corner on the last repeat. Join to the first hdc with a sl st. Fasten off and work away your ends. Thank you for choosing to make this blanket. 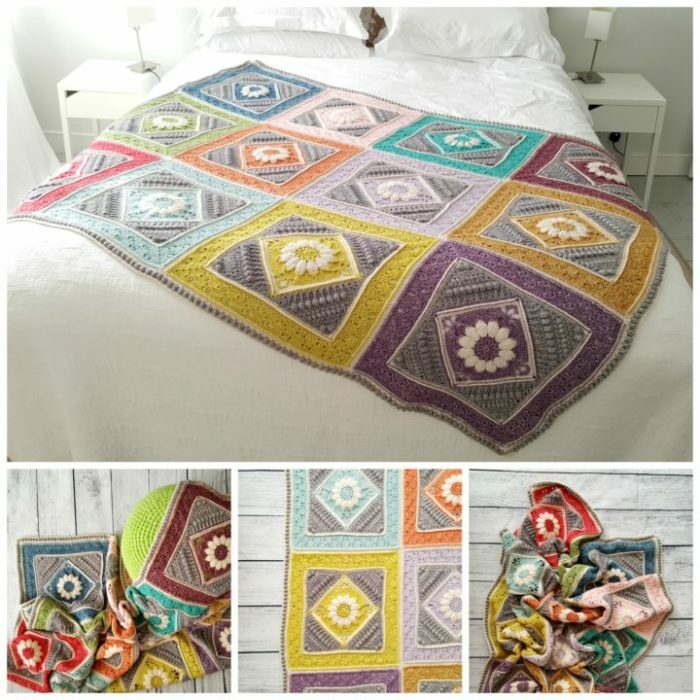 If you would like to share photos of your finished project, please use hashtag #charlottesdreamcrochetblanket so that Jenny and I can see it! I have started this beautiful blanket and seem to be using one whole skein of the Smokey Quartz colour and close to one of the Moon Stone per square. How many extra skeins do you think I’ll need to join the squares and make the border? I don’t want to rip out everything I’ve done so far, so buying more yarn seems to be the best solution. Ron I, without knowing the size of your squares or how your tension works up for the border, it is very difficult to ‘guesstimate’ how much extra yarn you will need. I’ve never crocheted a blanket out of cotton and I’m a bit scared it will shrink like crazy when washed and dried. Have you dried yours? It has been washed and air-dried without any shrinkage. Wow! What a beautiful blanket. 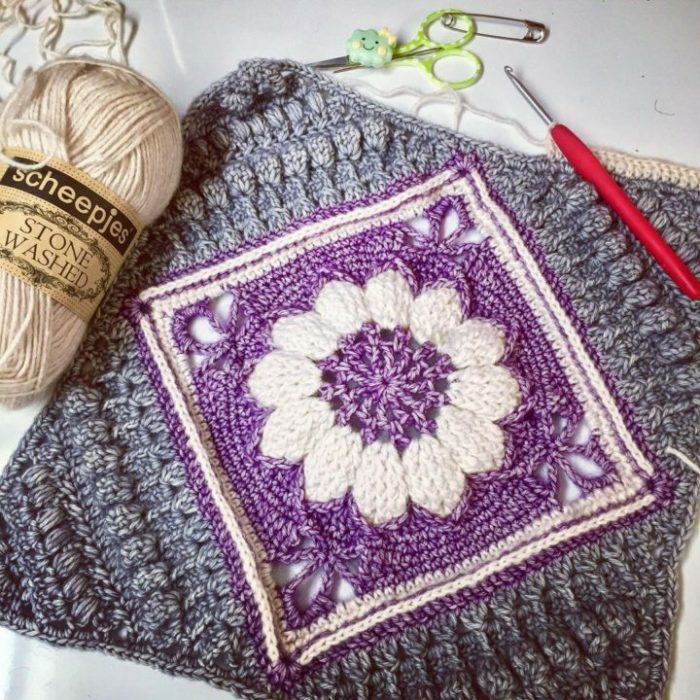 I am just finishing the last square and am in love with the whole look! Thank you for sharing the pattern and all the time and energy that went into the instructions, not to mention the illustrations. Clear and easy to follow. It is a joy to create, thank you again!! Goodmorning and thak you for this beautyful patern,I love them.Whissing you all the best for 2019.greetings Ria. Hi is there a PDF version of this pattern that you can print out? Can you buy it any where. I want to print it out as I don’t like to follow it on my iPad as it keeps turning off after so long. Hi Christine. 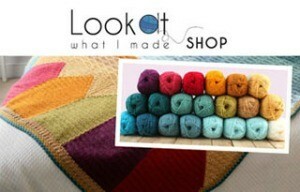 I’m glad you like it :) I always buy from wool warehouse. They ship fast and their customer service is great. Would I be able to use I Love This Yarn or Caron Simply Soft instead? If so which hook size should I go with for whichever or both kinds of yarn? Thank you so much for sharing this pit’s amazing! It’s amazing! Hi ;) You can use any yarn/hook combination you choose. 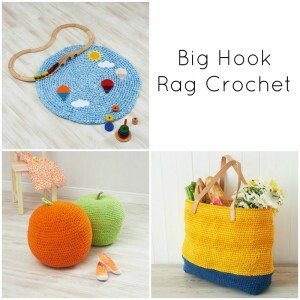 The hook size would depend on your personal tension and whether or not you crochet tightly or loosely. If you crochet tight, you should use the hook recommended for the specific yarn (on the yarn band). The afghan is stunningly beautiful! I ordered the yarn but was not able to get all of the yarn as Sheepjes stonewashed. Some of the skeins I ordered are Sheepjes Stone Washed XL. Is there going to be a problem with using both combinations? Hi Sandra. Stonewashed and Stonewashed XL are different weights, so you won’t be able to use them together in this specific pattern. Did you order a kit and were both weights supplied in the kit? If so, we need to get it sorted so that you can continue with the pattern. Yes I realized that after I ordered the yarn that they were different weights. I did not order the kit but that’s ok I will make one blanket with the XL and one without. As promised I tried crocheting the Charlottes Universe Part I and came out nice but I think I made a mistake in counting cause it came out lap sided on one side when I laid it down. 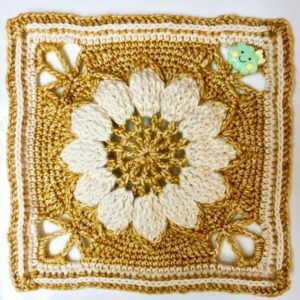 This pattern is so beautiful even if you just do part 1 of the pattern. I will try again and will be careful this time on the part where I think I made mistake in counting the stitches. Thank you for sharing this pattern to us and inspiring me not to be scared and disappointed to make mistake. For sure I will let you know. I was looking for a challenging pattern and came across your pattern. My husband picked out the colors and I made the Afghan. It got so many positive comments I entered it in our local county fair. It won first place, best of show and best overall crochet or knitted project. Thank you for a truly beautiful project. Hola Dedri, te sigo desde hace unos años, cuando tropecé con el Universo de Sophie. Creo que haces auténticas maravillas con tu corazón, tus manos y un crochet. Estoy totalmente enamorada de tus creaciones. Help! I just purchased the yarn pack from Wool Warehouse and am so excited to get started! One question: the Ravelry page says to use a 3.25 hook, while the Wool Warehouse page says I need a 3.5. Help! Hi Alana. Jenny used a 3.5 mm hook and I have corrected that on Ravelry. Thank you for flagging that. However (!!!! ), you will need to match gauge if you don’t want to run out of yarn, so it is incredibly important that you check your gauge where specified and adjust your hook size accordingly. Both Jenny and I crochet tightly, so you might find that you need to go down to a 3.25 or even a 3. 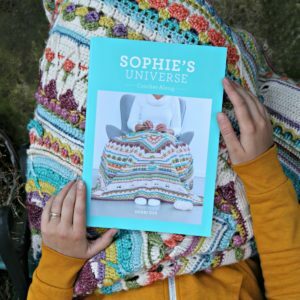 I happen to stumble on your website last year when I was looking for a pattern to make for my daughter’s 5th wedding anniversary. I am a novice in crocheting and I admired your patterns but scared to try and get disappointed in the end so I did not try. Today is a year when I saw your website, still admire all your work and now you have added the Ubuntu. I’m still scared but I will attempt to start crocheting the Charlottes Dream (Square) and I will let you know the outcome of my adventure. Thank you for your beautiful work and sharing it to us. 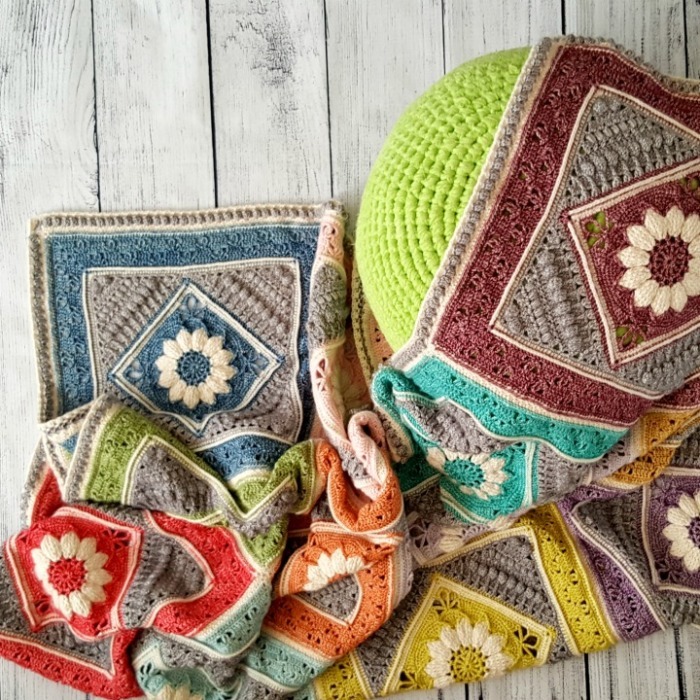 This was the most delightful afghan to make! 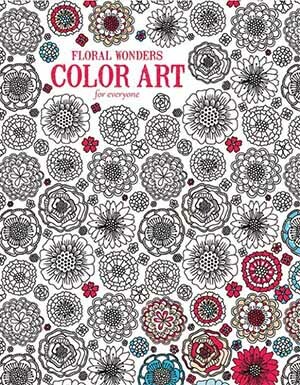 The pattern is beautifully written and very easy to follow, and the counts for each round are extremely helpful. Thank you so much for making it available! I bought the kit and would like instructions on the colour choices of each square. Thanks! Hi Gerrie. If you bought it from wool warehouse, it will already contain a printed version of the pattern. If you bought it from somewhere else, you will find the instructions for which colours to use in this post. If you scroll to Materials, it tells you which colours are Main Colour and Contrasting Colours. 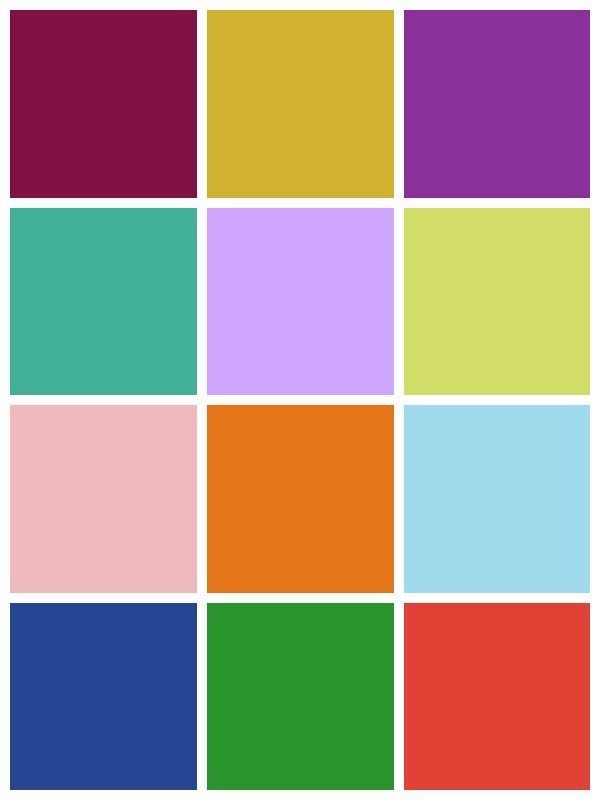 If you scroll down to instructions, it tells you which colours to use for the squares. I hope that helps. It doesn’t give directions to begin the pattern. row 1 for example. You need to begin with thw Charlotte squares which are linked to in this write up.